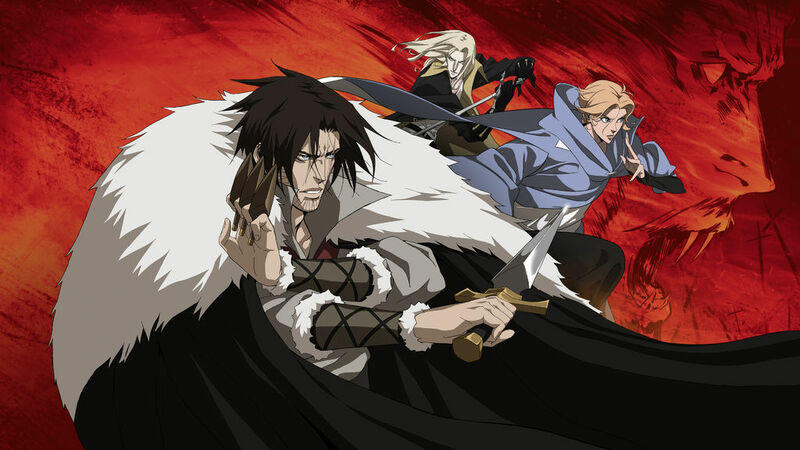 Netflix's Castlevania is that rarest of things: a successful video game adaptation. The animated series debuted on the streaming video service last summer as a four-episode first season, and was greeted with fan acclaim and an order for an eight-episode second season on the day of its launch. Clearly, it could have gone much worse. GamesIndustry.biz recently spoke with one of the show's executive producers, Adi Shankar, about how the project came together, and what other creators might take away from his experience as they consider bringing other games over into a new medium. While the filmmaker was reluctant to formally label his thoughts as "advice," it's not difficult to see some guiding principals at work in his decision-making, starting with the explanation of why he originally turned down a pitch to produce a live-action Castlevania project in 2012. "It's not that live-action was unilaterally not right, it was just the way that version was coming together," Shankar said. "The star of Castlevania is Castlevania, first and foremost; it's the characters. And the ecosystem has changed now, but back then the star system was still intact, so what mattered more to the greenlight committee than making a good film or faithful adaptation was who was in it. So it was like, Channing Tatum has to be the Belmont, or whatever. It would have been creatively bankrupt." Shankar passed on a live-action Castlevania before signing on for the animated series. While there's no shortage of films that have managed to overcome a minor detail like creative bankruptcy, Shankar knew it was less a case of "now or never" as it was "now and never again." "I wanted to be able to do these things right one day, and doing them wrong was a sure-fire way to not have credibility [later on]," Shankar said. "At the time it was a really crazy decision on my part because I didn't know if I'd get more opportunities." Rather than make a compromised live-action adaptation that had a chance to be widely seen, Shankar instead signed on when the project came back around as an animated project that could be done the right way, even though it wasn't clear how anyone would see it. "There really wasn't a place to make something like this before; 2D animation doesn't exist in theaters any more. It didn't really exist on TV outside the Adult Swim stuff, which had just been comedies"
"When they brought me on board, we weren't sure what the path to making it would be," Shankar said. "There really wasn't a place to make something like this before; 2D animation doesn't exist in theaters any more. It didn't really exist on TV outside the Adult Swim stuff, which had just been comedies." Fortunately, Netflix was ramping up its original content production at the time, and Shankar said they took little convincing, essentially saying yes to the project in the very first meeting. The project worked out so well that Shankar has added another animated gaming adaptation to his slate, an upcoming Assassin's Creed series for Ubisoft. This could be yet another a turning point in a career that has already had a couple of them. Shankar's body of work began with a succession of mainstream projects featuring some big-name stars, including Brad Pitt's Killing Them Softly, Gerard Butler's Machine Gun Preacher, and the Liam Neeson hit The Grey. Then 2012 saw the release of Dredd, a cult favorite adaptation of the Judge Dredd comics that drew plenty of fan acclaim for being true to the spirit of the original. His next move was unorthodox, to say the least. While he continued to turn out the mainstream projects with big names here and there (Mark Wahlberg's Lone Survivor and Ryan Reynolds in The Voices among them), Shankar also produced a string of professionally made--but completely unlicensed--short film adaptations of popular brands, like The Punisher: Dirty Laundry, Venom: Truth in Journalism, and Power/Rangers. When asked if he's worried about Castlevania and Assassin's Creed getting him pigeon-holed as a creator of gaming adaptations, Shankar quickly dismissed the notion. "No. I want to be the video game guy," Shankar said. "That's my goal now. It's way doper than being the something else guy, better than being the fan film guy. In theory it's a step down from 'This guy makes mid-budget movies with movie stars!' But I view it as a step up." The rest of the film industry may be coming around to that point of view. Shankar said there's a growing acceptance and embrace of fan culture throughout the film industry, a change he's witnessed first-hand over the last decade. "Fanboy was a negative word," Shankar said of when he was starting out. "'He's just a fanboy. This person's not legit, he's just a fanboy.' Then the culture changed, and now it's a good thing, a positive." As for what caused that culture change, Shankar said it wasn't so much an epiphany for the film industry as it was a gradual enlightening. "For a writer or a filmmaker or a creator or whatever, unless they're connected to the material, it's never going to be good"
"I don't think it was one thing," he said. "It was a combination of adaptations that were authentic working, adaptations that were not authentic vanishing. Then the whole concept of what a quote-unquote good movie was and wasn't... There were all these minor shifts in the culture that created a massive tectonic shift, which is that nerd culture became the culture. And everything else is just noise, so to speak." One of those smaller shifts has been better understanding about how to properly adapt things that carry their own fandom to a new medium. The creators behind gaming adaptations are less likely to view them as cash grabs now, Shankar said, partly because the first demographic that actually grew up with gaming in their lives now holds key decision-making positions across the industry. For perhaps the first time, the people making the films based on these games are by and large going to be fans of the franchise. "For a writer or a filmmaker or a creator or whatever, unless they're connected to the material it's never going to be good," Shankar said. That leads to a good rule of thumb Shankar has for adaptations: don't touch it unless you're a fan of it. A fan will recognize the qualities of a franchise that can be adjusted to fit the new format and which parts are more or less immutable; they will understand their role as keepers of a cultural heirloom. "These characters have existed for a long time because they are our modern-day mythology, and we are simply here to preserve these stories in different mediums until other generations come and tell them better using the technology of their time and day," Shankar said. He also had a suggestion for people on the other side of the equation: the IP holders, publishers and developers considering allowing others to bring their creations to a new medium. "Don't chase the money. Chase the passion," Shankar said. "The biggest budget doesn't always necessarily meet the best project, or the best adaptation of it. There have been low budget, really bad adaptations of video games, but there have also been expensive ones. And they've both suffered from similar problems." He’s done a great job, if his name is on an adaptation, I stop worrying. So many companies need to find more like him and give them veto power. I'm sure Shankar did a great job, but how is the writer Warren Ellis not even mentioned? This project had been in the making for years before Netflix and Shankar picked it up.